Aloo palak sabzi recipe – VERY HEALTHY, homey and delicious dry vegetable dish. 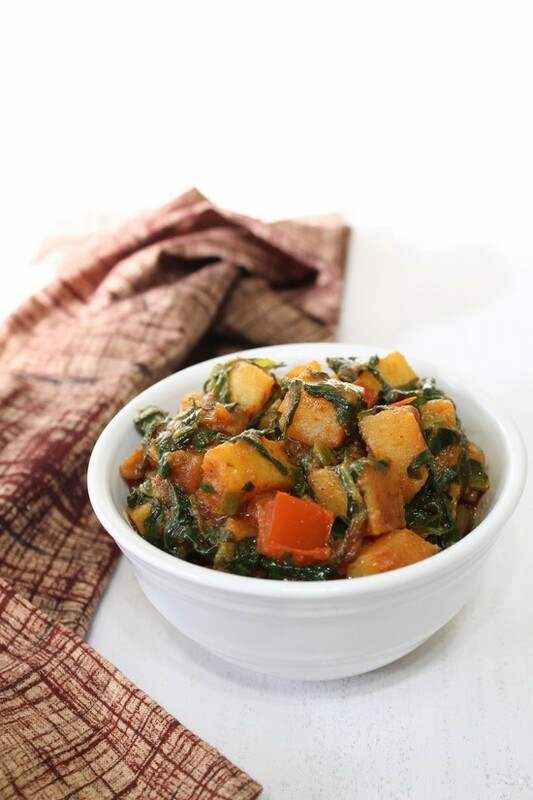 In this dry aloo palak sabzi recipe, no special spices or ingredient is needed. All the ingredients will be available in basic Indian household pantry. The recipe calls for potatoes, spinach, onion, tomatoes and few spice powder. In my family anything paired with potato is always welcomed. 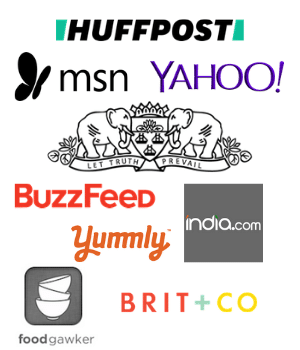 Thus you will see many side dish recipes with aloo on the blog. e.g. aloo shimla mirch, aloo tindora, aloo patta gobi, aloo beans, sem aloo and list will go on. If you are not familiar with this language, let me translate in English: aloo = potato, palak=spinach. So it is dry preparation of potatoes with spinach. There is another variation of making aloo palak and it is the gravy version. 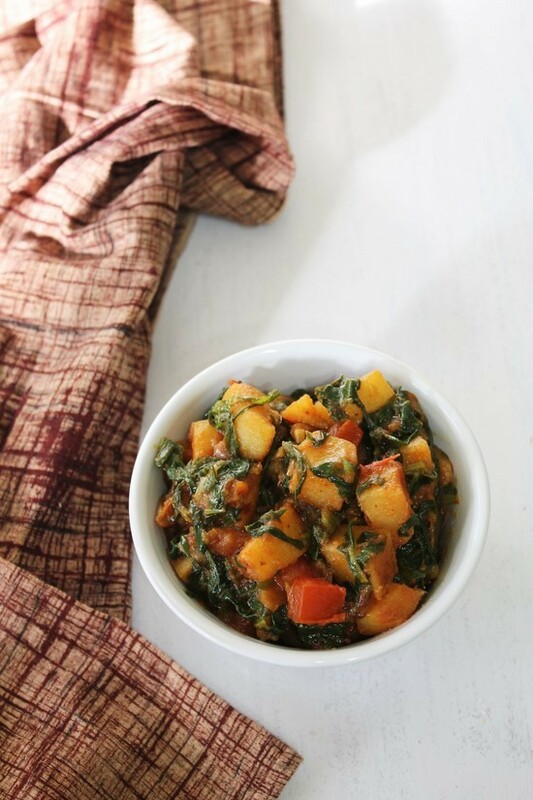 I have already shared the aloo palak gravy recipe. This one is dear hubby’s most favorite. 2) Then add chopped onions, sprinkle little salt. Cook till onions get soft and translucent. 3) Then add chopped green chilies, ginger and garlic. 4) Mix and saute for a minute. 5) Mix in cubed potatoes. 6) Add remaining salt, turmeric powder, red chili powder and coriander powder. 7) Mix well, cover the pan and cook. Do stir in between to make sure that it is not sticking to the bottom of the pan. 8) Cook till potatoes are 95% cooked. check by breaking a piece of potato. 9) Add chopped spinach and tomatoes. 10) Mix, again cover and cook till potatoes are 100% done. By that time spinach are wilted and tomatoes will be little soft (not mushy). Turn off the stove and serve. Serving suggestion: Serve aloo palak dry with roti or paratha. To complete the meal serve your choice of dal and plain rice along with it. It will be healthy and filling lunch or dinner. If you have leftover boiled potatoes then you can use that in the recipe. If using boiled potatoes then add spices once onions are cooked and add potatoes, spinach and tomatoes together and cook till tomatoes get little soft and potatoes will absorb some flavors. Here I have used tomatoes to get little tang, But for the variations try substituting it with a tablespoon of yogurt or a squeeze of lemon juice at the end. Yes I have tried with yogurt and it was fantastic. Then add chopped onions, sprinkle little salt. Cook till onions get soft and translucent. Then add chopped green chilies, ginger and garlic. Mix and saute for a minute. Mix in cubed potatoes. Add remaining salt, turmeric powder, red chili powder and coriander powder. Mix well, cover the pan and cook. Do stir in between to make sure that it is not sticking to the bottom of the pan. Cook till potatoes are 95% cooked. check by breaking a piece of potato. Add chopped spinach and tomatoes. Mix, again cover and cook till potatoes are 100% done. By that time spinach are wilted and tomatoes will be little soft (not mushy). Turn off the stove and serve. yes you can skip tomato. It will be fine.